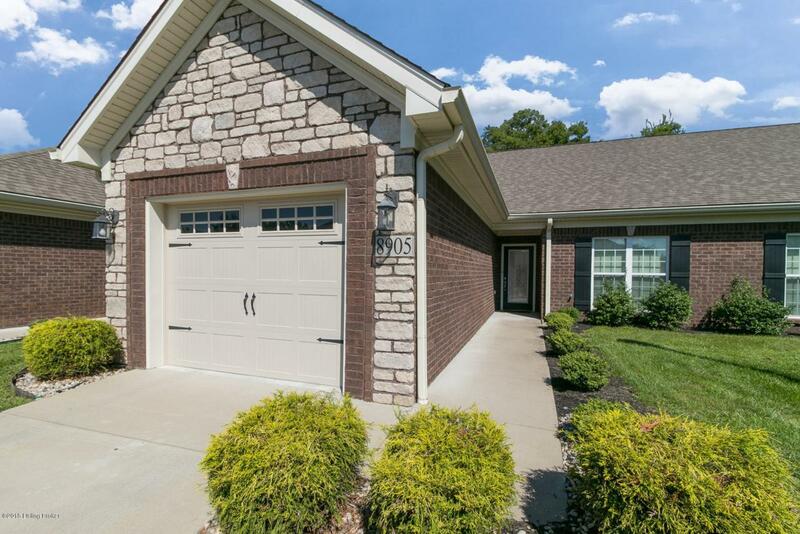 Hurry to see this awesome, five year young, 2 bedroom 2.5 bath patio home in beautiful Anderson Park! Immaculate and move-in ready! 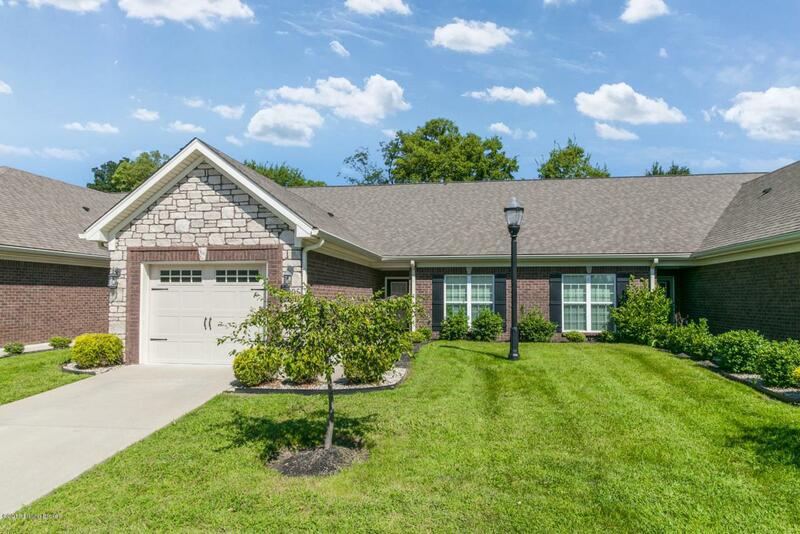 Tucked away on a dead-end road at the back of the neighborhood,offering a private and peaceful setting! 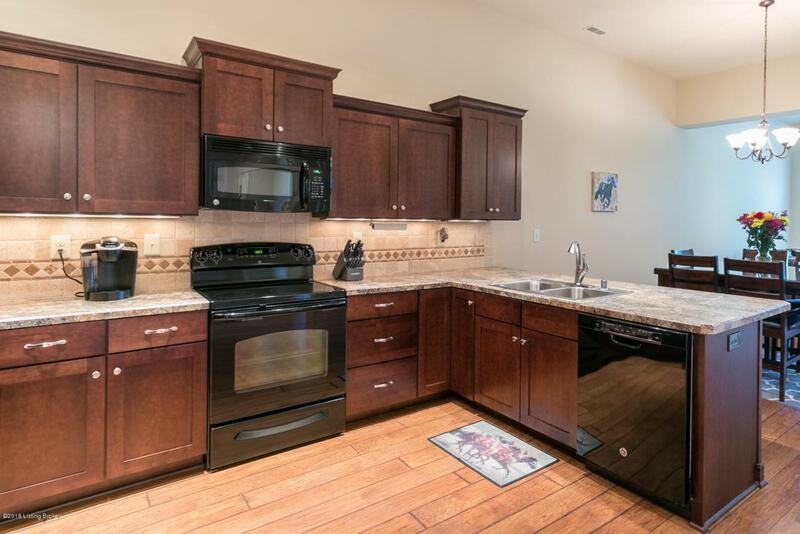 Very open and bright,with high ceilings and recessed lighting throughout! Beautiful hardwood laminate flooring throughout as well; no carpeting! Living room features 10 foot ceilings and transom windows,walks-out to patio overlooking wooded area; no neighbors behind you! ! 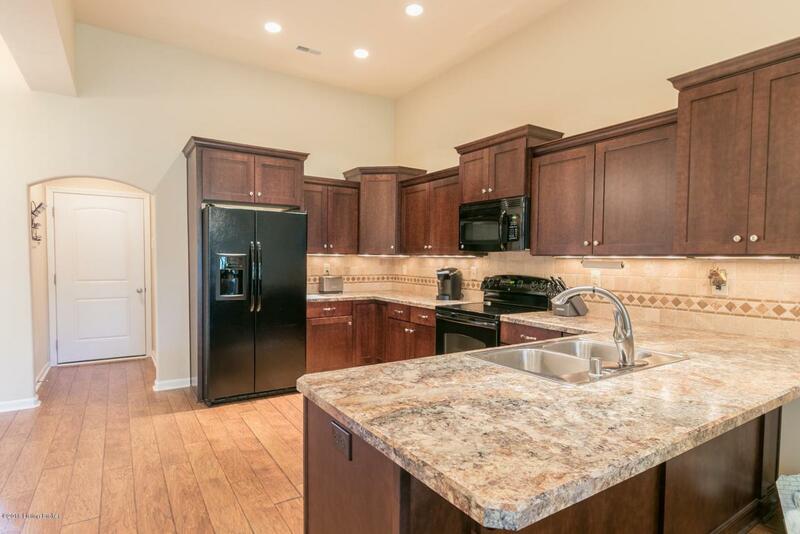 Fantastic kitchen-dining area (10 foot ceilings) with abundant staggered-height cabinets and counterspace, snackbar,and all appliances remaining! Master suite offering luxury bath with his & her vanity, walk-in shower,garden tub,huge walk-in closet.Nine foot ceilings in bedrooms,baths and full size laundry room (high-efficient washer and dryer stay)with utility sink. Attached one car garage! Maintenance fee includes master insurance,water and sewer,trash pick up, snow removal. Ideal location,convenient to everything! Will go fast! Seller offering a 1-year HSA warranty at closing.